Algeria has been ruled by a strongman 'president' who has held power for 20 years. After his stroke 6 years ago, the deep state associated with him has continued to rule, with President Bouteflika as figurehead. 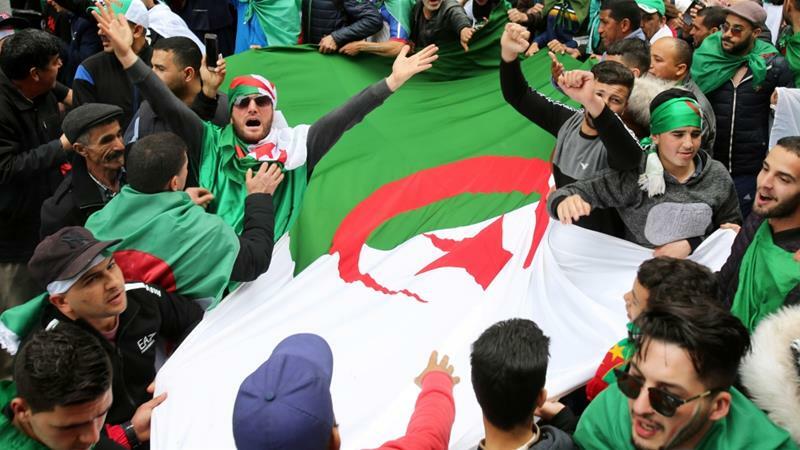 This Spring, Bouteflika sought a fifth five-year-term as president, and the people said, 'enough is enough' They are in the streets, demanding a peaceful transition to full democracy. The Army is in an ambiguous position. On the one hand, they have sided with the people against Bouteflika, and made it safe for them to demand change. On the other hand, they remain a conservative force linked to the Deep State. Stay tuned. Now, I would like all the readers to decide in their minds if this is truly "people saying 'enough is enough' " or some "CIA engineered" "regime change". If things turn sour and there is chaos I am sure that many will find that the US "engineered it" etc. etc., wrong claims used for Libya and Syria, Yugoslavia, even Yemen, I think. In my opinion it is people and I wish them well. Can it turn bad, sure can. But this probably had to be done.